The Ram 1500 continues to be a legendary truck with its latest iteration, enhancing the classic design with a powerful and efficient 3.0L EcoDiesel V6 that’s capable of delivering both 420 lb.-ft. of torque and an EPA-estimated 29 mpg highway, so you’re not sacrificing power for efficiency like you would with others in the segment. And its range of trims let you choose exactly the kind of truck you want—like the impressive 2017 Ram 1500 Big Horn. Driver Information Digital Cluster: This gauge cluster, paired up with a 7-inch color display, allows you to customize your cockpit so that you’re getting all the info you need right where you need it. Five-Link Coil Spring Rear Suspension: This enhance suspension gives you smoother rides and better turning ability without sacrificing an ounce of towing capacity. You’ll also get 20-inch chrome aluminum wheels, so your 2017 Ram 1500 Big Horn looks as good as it feels. 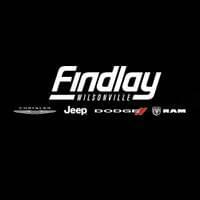 When you’re ready to see what the 2017 Ram 1500 Big Horn can do for you, come on out to Findlay Chrysler Jeep Dodge Ram. We have a wide range of Ram trucks for you to choose from, and flexible financing options to help you afford them. So contact us online, and drive home in a Ram today!